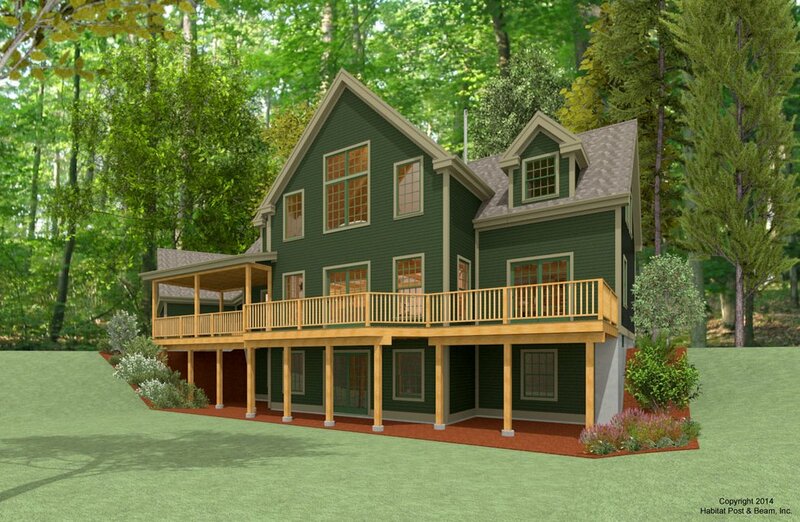 A part of our Lodge series (http://www.postandbeam.com/plans/filtered?type=houses&houseDesignGroup=lodgeHomes&keywordSearch), this custom Balsam Mountain Lodge (http://www.postandbeam.com/plan/108/) displays an attached two-car garage (not included). The approximately 1400 s.f. 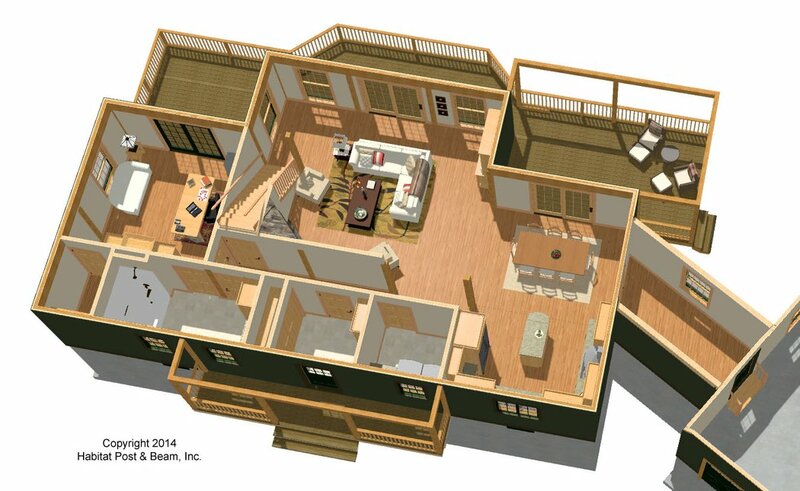 main level’s center section has an entry/mudroom off of the covered front porch, and a laundry room. 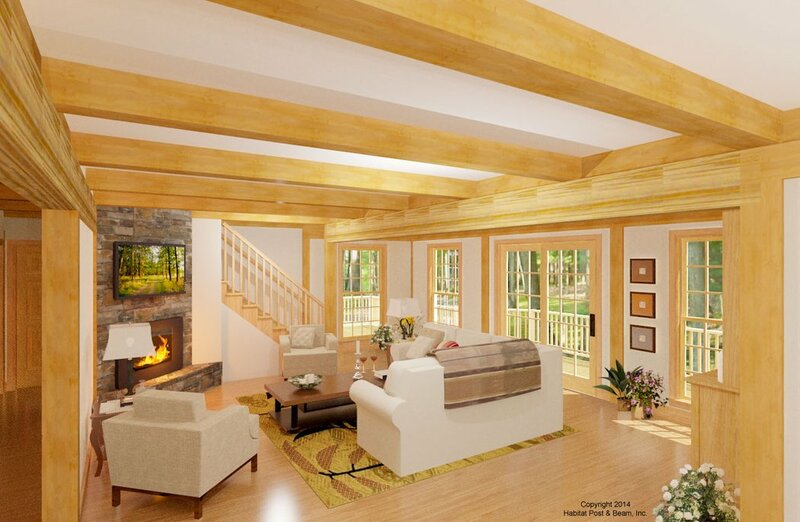 To the rear of the center section is a large living area with a corner fireplace and stairway to the upper level. 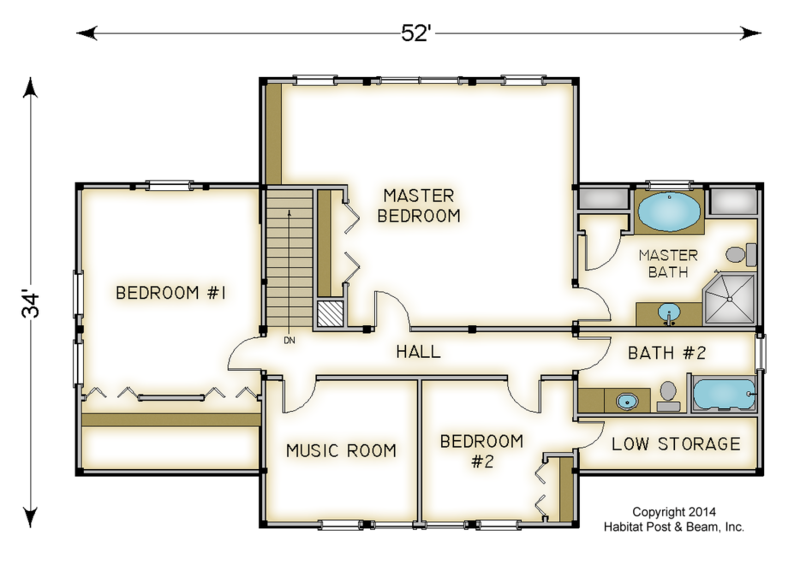 The left side has a private room with a walk-in closet and attached bathroom; currently designed as an office, this room could be changed to a future main-level bedroom. The right side is a kitchen and dining area that connects to the garage. Upstairs is about 1300 sq. ft. and is home to the spacious master bedroom suite, two additional bedrooms, a shared bath, and a multi-use room currently designed as a music room. The basement/walkout level of about 1400 s.f. 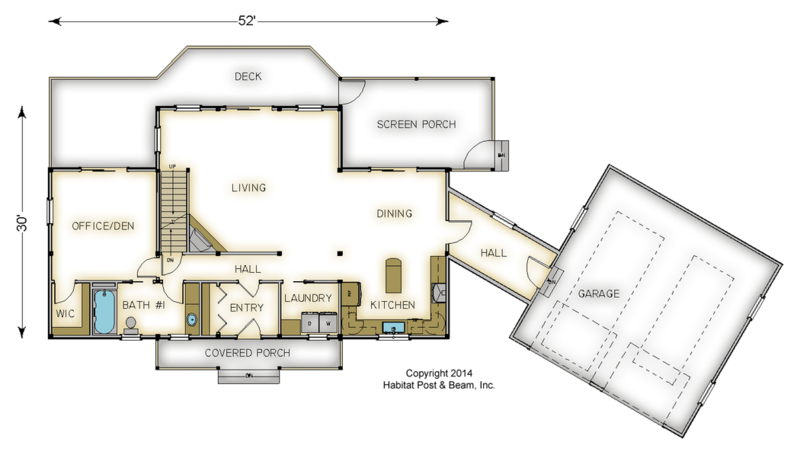 is drawn for a large central family room with storage and utility rooms on each side. Package Price: $212,000 as specified below (from $190,500 to $242,000 depending on framing options). The standard price includes our Beamed Wall System, Plaster and Beam or Beamed Mid-Floor System (same package price), our Beamed Roof System over the center section, and our Plaster and Accent Beam Roof System over the wings. The porches are our Liner Porch System. The walkout level (daylight basement), garage, and connector are not included in the above pricing.